A good idea as they can show you where and what the fish are biting on. This gives you more time to spend catching fish instead of looking for them and trying to figure things out on your own. Here's a listing of popular Hayward Wisconsin area guides that fish these lakes and more. Chippewa Flowage, Spider Lake Chain, Grindstone, Round, Lac Courte Oreilles, Nelson, Teal, Lost Land, Ghost, Tiger Cat, Moose, Callahan, Whitefish, Sissabagama, Clam, Sand, Namakogon, Hayward, Eau Claire Lakes. 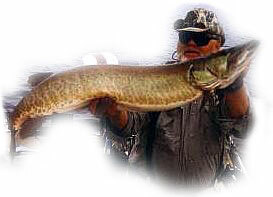 John has over 37 years guiding anglers to fish on Hayward, Wi area Lakes and rivers!